Represents copper content weight, rather than metal weight. NMtI: )tail may wt .. to tA rn s Lhl t, id, -pe -denr m ilin-. 'TRevi-, d hv orr. *n or pnor. fr-n proviou) 1v nblished ti'ur.s. web in rap e -rti d i, ti, c i l ,,r n i I, .i . re r, d 1i iP r nt i t AdEi t r ther th ,ia h 1"l l twiglt . 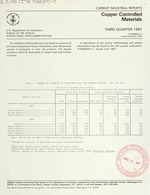 table 4 in the first quarter 1947 r'p rt, IT\4 H3( 7)-1, itsued ln 19147. 2Source: Buireau of the Censusl rt'por t EM A. (.S. Exrol t s.
3Source: Bur,;tu of the Cetnsus r-p rt 11 4-, .S. Imp-rt- fnr Co to ptittn. 4Apparent consumption is d trIve hv SlbtIti n -trlt fri tL tottl f n. t Ill shipment plu imports. 5This total does not in. luht irter i Ls uti wire- -id .able r brtss Ind brtn.f founrv prodict-.